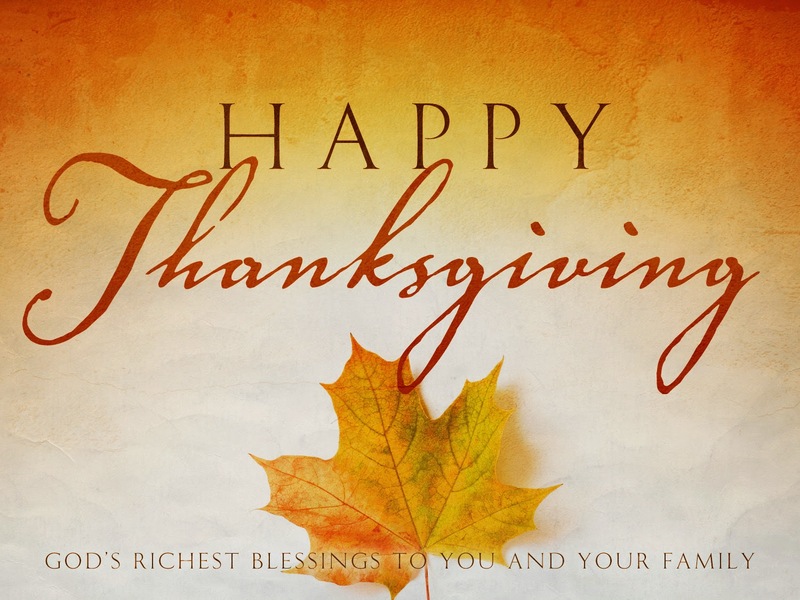 Happy Thanksgiving to all our American Buddies. Labels: american, deroseoutdoors, Happy Thanksgiving! Hank Parker Moves to Lew's after Decades with Abu! Two legendary names in fishing, Lew's and Hank Parker, have teamed in a promotional agreement for 2015 to carry the family fun of fishing message into millions of American households across the county. moving to Lew's as of 2015. "Hank Parker's Outdoor Magazine" will celebrate its 29th consecutive year on television when its 2015 season begins on Dec. 29. The Lew's brand got its start in the 1950s, but has been on a rapid resurgence in popularity ever since new ownership in 2009 has steadily introduced an all-new lineup of rods, reels, combos and accessories. "Lew's and Hank Parker's images and brands have closely paralleled one another over the past three decades, meaning we take our fishing seriously but have a lot of fun in doing it," said Lew's CEO Lynn Reeves. "While the sport will always be about the sheer pleasure of spending time together on the water with family and friends, it's the avid fishing enthusiasts like Hank that help inspire and educate all ages to get involved in the activity. Our goal is to introduce more people to fishing." 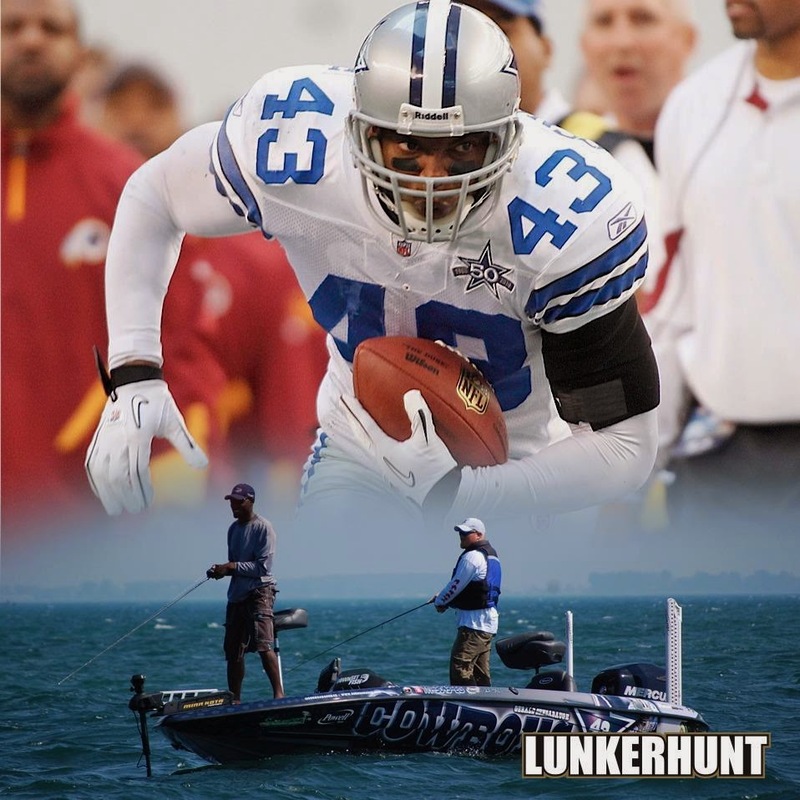 Parker, who was once introduced during a CBS Morning Show appearance as the "rod-n-reel" answer to legendary pro basketball player Michael Jordan in "popularity and talent," had success first as a bass tournament angler and champion before turning his popularity into a full-time career as an outdoor show TV host. 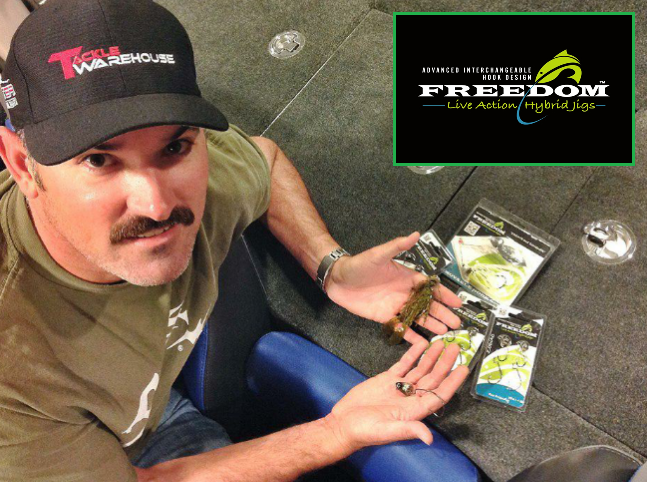 Driven by a steady increase in retail product placement stemming from heightened consumer awareness and sales, Z-Man Fishing Products is excited to announce several key extensions to its 2015 marketing mix. The bulk of the company’s upward media progression will focus on Pro Staff expansion, a growing commitment to leading industry broadcast show sponsorships, and the continued creation and distribution of original digital video content. If you have what it takes contact them. Backwoods Rods: A Real Canadian Gem. A Nickel for Good Luck! Being an outdoor writer has perks and one of them is seeing amazing fishing gear. IBASSIN readers have enjoyed photos and read stories of my trips to Japanese tackle stores and discoveries at ICAST but rarely do we celebrate local talent. Backwoods Rods is a Canadian rod company that takes craftsmenship to the next level. offers a truly unique Canadian touch. Daniel Sturges and his Backwoods fishing rods caught my attention recently. 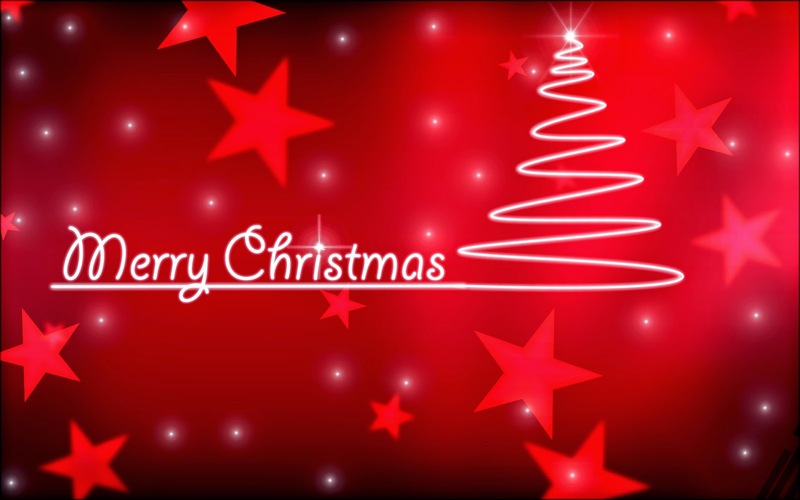 The on-line world is flooded with companies trying to lighten your wallet but most often nothing is ever too exciting. Backwoods Rods seemed different right off the bat and the more I discovered about the him and his team of three master rod builders, the more interested I became. Daniel makes several species specific rods but I focused on the bass gear. 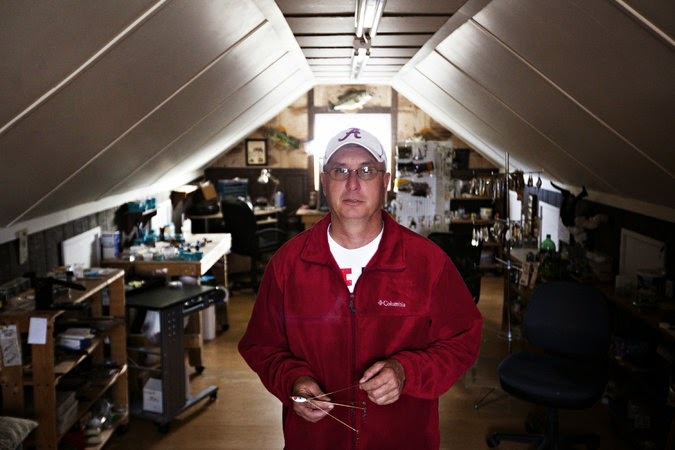 Over his 18 years of rod building, Daniel has created 140 models so customers can obtain the exact action, size and feel they crave. Here is a photo essay and run down of his bass rods. First is a 7'6" Telescopic Flippin/Pitchin Styx with a Anodized "Dual Trigger Reel Seat" Titanium/Zirconium "Flanged" Casting Guides. They also do a 7'10" -1 Pc. 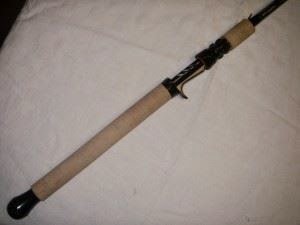 Rattin/Frog Rod as well as a Swimbait Rod with Split Cork Handles. 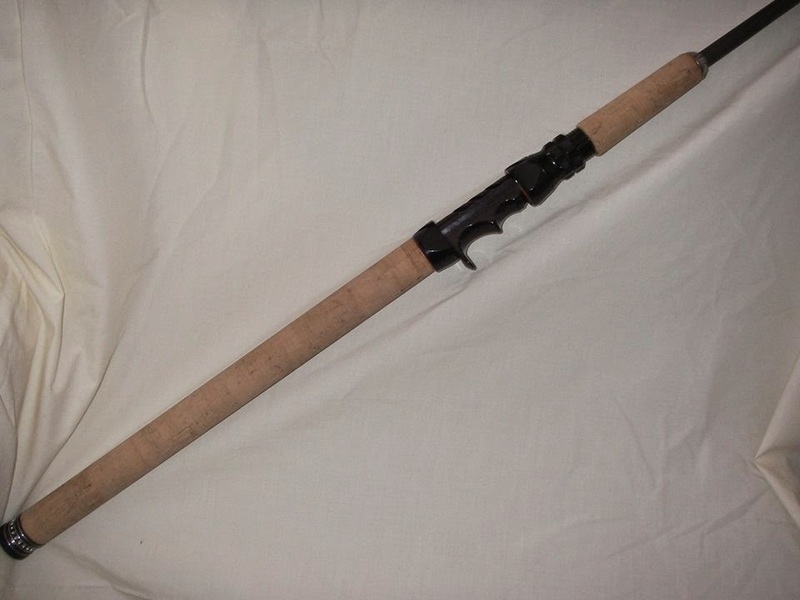 with a Rainshadow RX8 Rod Blank which are extremely light yet very powerful. SonarPhone is an exciting enhancement to the Navionics Boating app that connects your mobile device to sonar via Wi-Fi and displays the results in split screen with Navionics charts. It also enables enhancements to future SonarCharts™ anywhere you go. 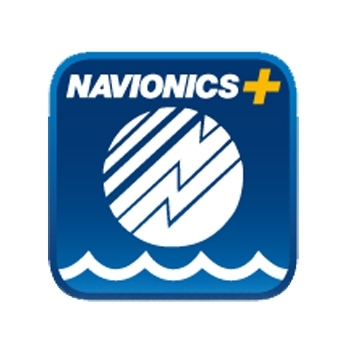 The new sonar feature is available now on Navionics Boating app for iPhone and iPad and is coming soon for Android devices! We hope you enjoy trying it out. When it comes to fishing, especially bass fishing, there are not many anglers that bring both expertise and fun to it like Dave Mercer. Along with filming his ‘Fact of Fishing’ show and emceeing the weigh-ins at B.A.S.S. tournaments, Mercer will now be on the water using the latest in Jackall Lures soft baits. Mercer has already been using an assortment of Jackall softs baits, from FlickShake worms and Cover Craw creature baits, to just introduced baits like the Sasuteki Craw and Scissor Comb. 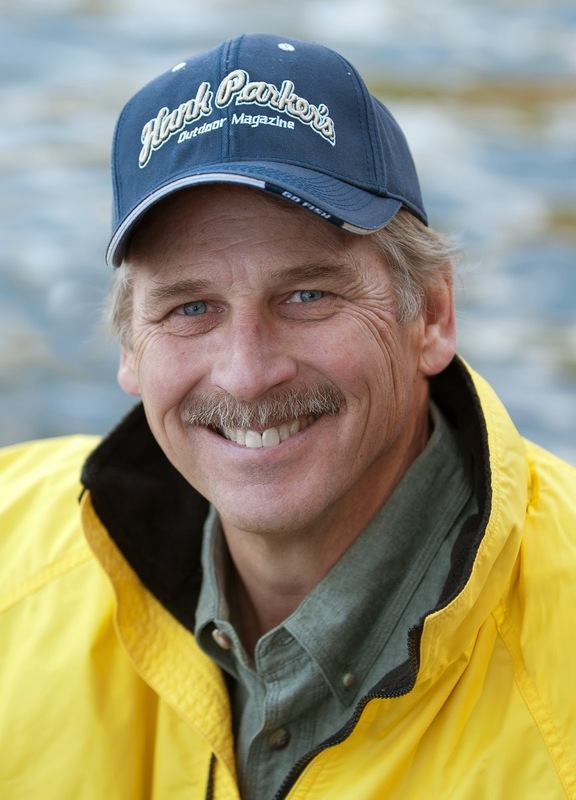 He’ll offer his expertise on fishing soft plastics at seminars this coming winter throughout North America, and also on his TV shows airing on the Outdoor Channel, World Fishing Network, SportsNet 360 and ESPN International. 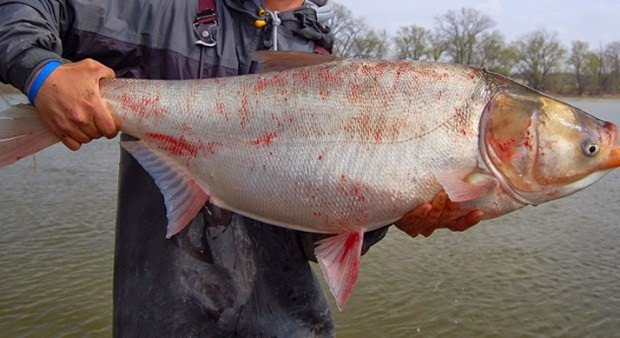 Help prevent the entry of asian carp into our waterways just got a whole lot easier. 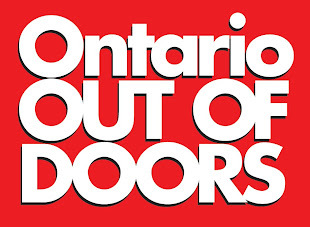 The Ontario Federation of Anglers and Hunters along with Invasive Species Centre have a new site and phone number to call if you spot one of these nastiest. 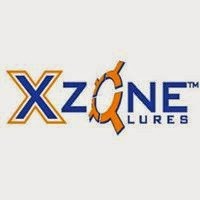 X ZONE Lures up for sale. Popular Canadian soft plastic lure company is currently up for sale. with a line of swimbaits. On the eleventh hour of the eleventh day in 1918, World War I—one of the most significant wars in the history of mankind—ended. 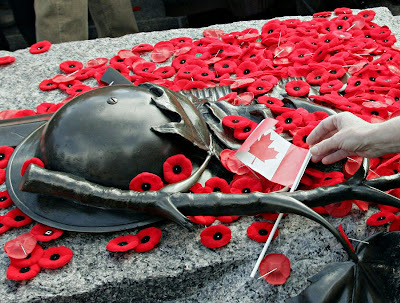 Since then, thousands of brave men and women have lost their lives while serving our great country. Today, we stop to honor them. 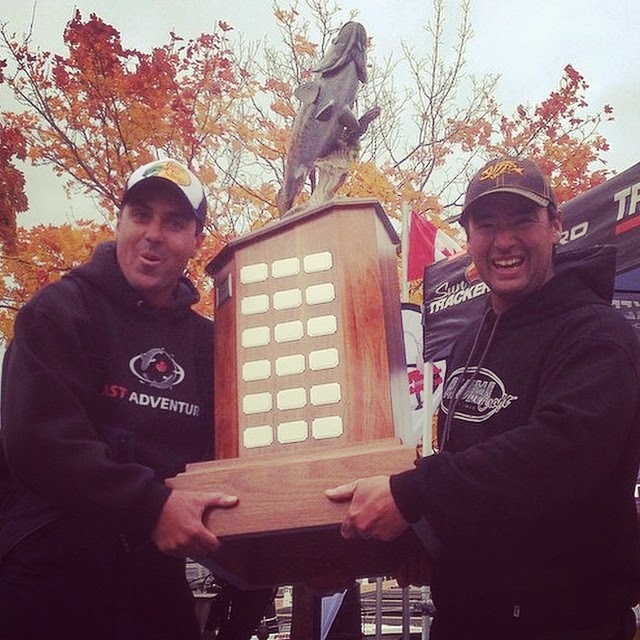 Paul Mueller Wins 2014 Old Milwaukee B.A.S.S. Nation Championship! MONROE, La. — When it counts, Paul Mueller knows how to catch a big limit of fish. That’s what he did on the final day of the 2014 Old Milwaukee B.A.S.S. 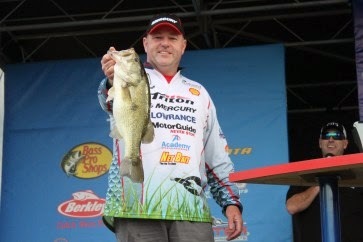 Nation Championship on the Ouachita River, when his 14-pound, 9-ounce sack earned him the top spot and the Bryan V. Kerchal Memorial Trophy. Mueller, of Naugatuck, Conn., has a track record of catching the big ones when he needs them. Canadian ever to make it to the Classic. He did it earlier this year at the 2014 GEICO Bassmaster Classic when, after a dismal first day that threatened to eliminate him from competition, he went and caught 32 pounds, 3 ounces — the biggest five-bass limit in Bassmaster Classic history — to show that he was still in the game. Mueller’s final three-day weight on the Ouachita was only a little more than his one-day record-busting bag in the Classic at 32 pounds, 15 ounces. Labels: bass, bassmaster classic, Doug Brownridge, eastern team, ibassin, luigi de rose, Paul Mueller Wins 2014 Old Milwaukee B.A.S.S. Nation Championship! Despite engine problems and changing conditions Carden continues to excel. MONROE, La. — Coby Carden took a gamble on Day 2 of the 2014 Old Milwaukee B.A.S.S. Nation Championship on Louisiana’s Ouachita River, and it paid off. Canadian Doug Brownridge moved up to 6th with 17-7. Unfortunately, two other Eastern teammates rank higher. His spot on Day 2 was nowhere near his Day 1 area, where he caught 11 pounds, 8 ounces and took the lead of the tournament. But he knew he couldn’t count on getting that one big-fish bite in his primary area and wanted to cement his lead in the championship and earn back-to-back Bassmaster Classic berths. It was a good call. Carden caught 11 pounds, 12 ounces in the bayou. Then, at 10:45, he was heading back down the lake. He found a great fish and got her to bite three times, but he couldn’t get her to commit. He decided to move on, and that’s when his motor started acting up. 2014 Old Milwaukee B.A.S.S. Nation Championship Day 1: Carden Take Lead! Canadian Doug Brownridge sit in 10th. MONROE, La. — Jennifer Carden of Calera, Ala., likes to see her husband in first place. And when she comes to Coby Carden’s events, she usually gets exactly that. Jennifer surprised Coby by driving all day a couple of years ago with their two kids in tow to the 2013 Old Milwaukee B.A.S.S. Nation Southern Divisional, and he not only led each day but he won the event. Jennifer and the kids showed up again last night — unexpectedly — and Coby now has the Day 1 lead of the 2014 Old Milwaukee B.A.S.S. Nation Championship on Louisiana’s Ouachita River. Cody Carden's big bass vaults him into the lead. Coby Carden has had a pretty great run the last two years. He won the 2013 divisional, went on to win his division last year at the championship, competed in the 2014 GEICO Bassmaster Classic and finished in the top half of the field, and then won his state again this year at the 2014 divisional. He wants to get back to the Classic again, but that’s not all: He wants to win it. But he has two more days of tough competition before a Classic win is even a possibility — a fact that has not escaped him. Wishing Canadian Doug Brownridge the best of luck at the Nationals! IRVINE, Calif. – October 30, 2014 – For Immediate Release -- Jump online today to see the new Shimano – at least in cyberspace – with the launch of the tackle makers upgraded web site at http://fish.shimano.com. The link brings you directly to a new way to learn about not only Shimano tackle and fishing lifestyle gear, but also customer and technical service information and dealer locations throughout North America. Anglers can stay updated on Shimano events, shows, pro anglers and other information by liking Shimano on Facebook - www.facebook.com/fishshimano. 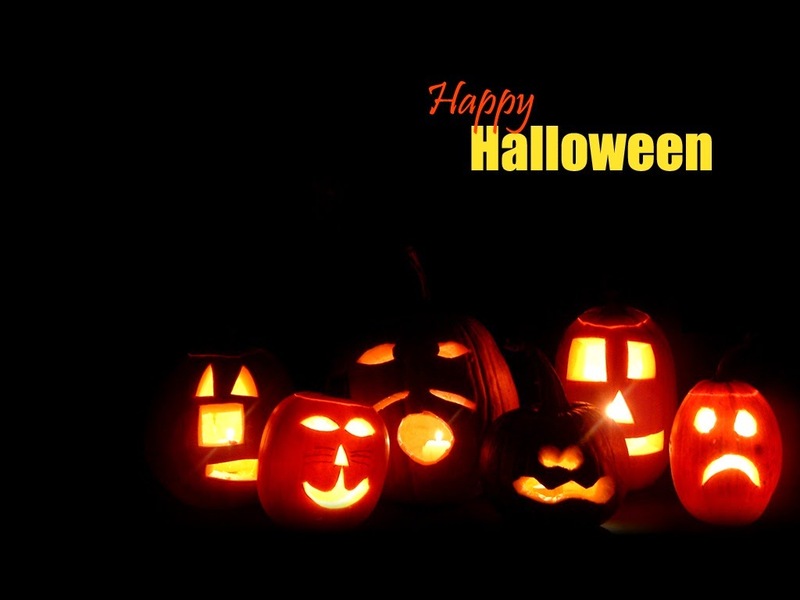 without a "scare" in the world. 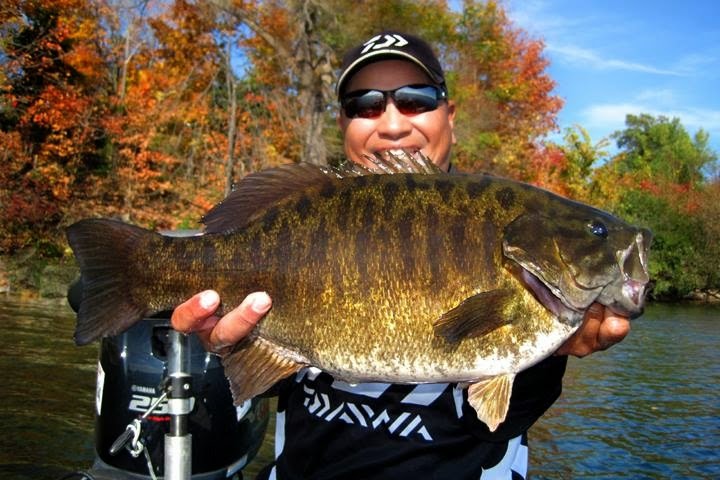 A Late Fall Must for Trophy Smallmouth Bass. 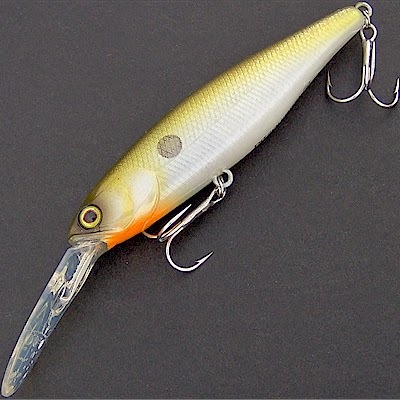 The JACKALL Squirrel DD is a top choice for cold water. Deep diving jerkbaits are a must for late fall trophy smallmouth bass fishing. If you looking for these minnow baits, you might have to move pass the bass fishing section and over to the walleye one in the tackle store. 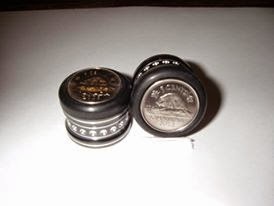 Often, these deep diver plugs are considered walleye baits but they're lethal on trophy sized smallies. Don't expect them to glide and dance like short billed baits. These deep divers are ideal for more sluggish action as they remain deep. Biggest of the big lurk for the willing angler. Wind, cool temperatures and unwilling friends can make fishing in late fall difficult. The wind and lack of companionship kept me off the water this weekend and now I am kicking myself. Boating during this calendar period can be chilly but if you have the nerve and a warm jacket the rewards are worth it. Here is IBASSIN.com friend David Chong with an amazing 8.2 pound Lake Simcoe giant. Dave only got a handful of bites but how can you complain when you net your personal best smallmouth. For photos of Dave's big bass link over to IBASSIN.com's facebook page. Learn how to prevent boat and motor problems during the fall and winter. Follow these tips will ensure your motor, pumps and fuel remains safe. This video will explain some preventative boat maintenance that will keep you on the water and your rig out of trouble. 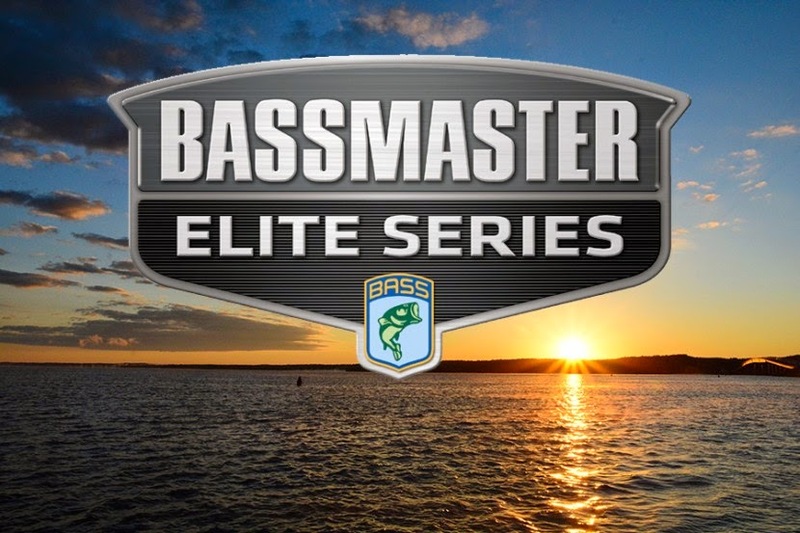 Top Bass Tournament Series was booming in 2014. With record numbers of tournament participants, each event was exciting. Here's a video shot at the 2014 Classic this September. Castellano and Murata whip windy Lake Simcoe. Castellano and Murata are all smiles with a great win. Jackall pro Cody Meyers explains how to use jerkbaits for smallmouth and largemouth bass when the water turns cold in the fall and winter months. Learn how to adjust your jerkbait for when the bass are shy and the water is cool. FLW Cup champ and Bassmaster Elite angler Kevin Hawk explains a great autumn presentation for catching big bass by casting a deep diving crankbait. 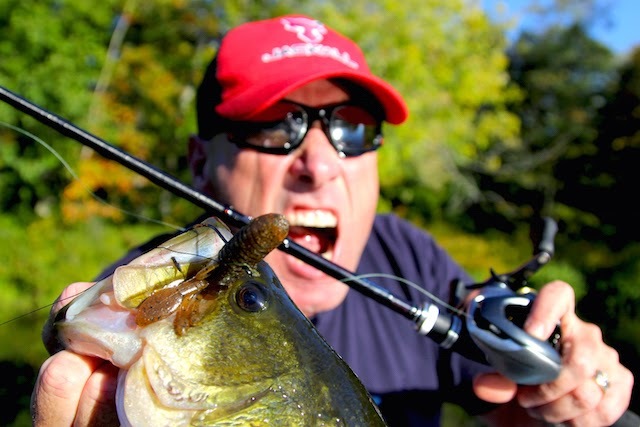 Learn as he explains to the followers of IBASSIN.com how to approach fall bass fishing. The power of the jig. the bass will help you score. Football jigs, a close cousin to flipping jigs, were designed specifically for bouncing along deep, rocky bottoms. The major difference is its chubby football shaped head with the line tie at 90 to 60 degrees. This designed won’t wedge between boulders and is surprising good in thin vegetation. Most football jigs are heavy, 1/2oz to 1oz, ideal for staying on bottom. Strikes typically occur at the end of long casts so solid hooksets can be a challenge. Make sure it has an ultra sharp hook and thinned weed guard, if it has one at all. Football jigs are best worked around deep grasslines, bluff banks, bars, points or saddle areas between islands. Surprisingly, this technique is a quick and easy way to check expansive areas. It vacuuming up aggressive biters yet enticing fickle ones too. Work footballs more like a crankbait or Carolina rig than a traditional jig. Dragging it with sweeping rod pulls or crawl it under a leisurely retrieve. Stick to a twin tail grub or frog chuck trailer. Olive, melon, pumpkin, peanut butter and jam, or craw colours are best. Finesse or mini jigs are a junior version of a flipping jig. These bite sized jigs are ideal in a multitude of fishing conditions. Ultra shallow, clear water, heavy fishing pressure, cold fronts or cold water are all ideal mini jig situations. In high stakes tournaments in Ontario, the success of mini jigs have secretly flowed through the ranks of the elite. Big weights and top finishes speak volumes. Many anglers have literally turned their tournament career around solely on the success of mini jigs. Once an after though, these jigs are much underestimated. Much of it does have roots in scientific research. Immature crayfish evacuate the shallows to escape scores of predators. Bass living along deeper structure are accustom to feeding on smaller crayfish making a tinier jig an ideal snack. Compact sizes don’t always translate to dainty weights. A few companies pour finesse jigs up to 1/2oz and with strong hooks, but they’re a rare find. Skilled manufacturers shrewdly manipulated the lead head to remain minuscule yet heavy. Others have switched to tungsten, a pricy non-toxic lead alternative. Regardless, mini jigs can transform a day from hoe-hum to amazing. Jigs are core bass tackle. Throw them more often and fine tune which type of jig will suit the fishing conditions your in will almost guarantee success. Tubes are a favourite of northern anglers and for good reason – they catch a lot of fish. Dragged on the bottom or pitched into shallow weeds, the tube is very versatile. Fall triggers a migration for bass from summer shallows to deeper water. Anglers who follow them will be able to benefit when bass school on predictable pieces of structure. One of the best presentations for catching bass during this calendar period is a tube. Regardless if bass are munching on craws or minnows, there is a colour scheme that will match the local prey perfectly. The most versatile open water method of rigging a tube is slipping an exposed jighead into the hollow cavity. Spinning gear is most ideal but baitcast loves don’t have to sulk as long as they scale down and lighten up on gear and line choice. A selection of jig weights from 1/8oz to 5/8oz will work everywhere regardless of wind speed and water depth. Don’t cheap out when shopping for jigs. Search for extra sharp hooks with good wire. 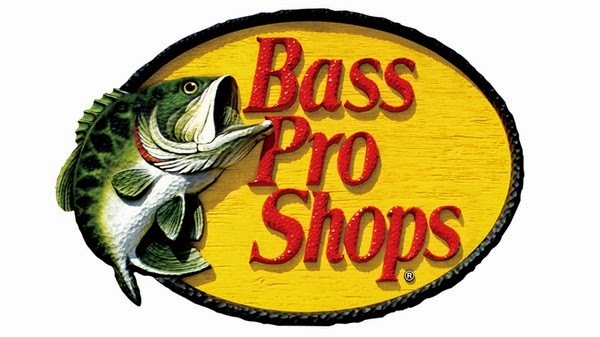 You won’t recall how much you saved when a monster bass pulls free. Most baits are 3” or 4” and that is fine. Name brand tubes have salt or scent or both. The real key is to have a large selection of colours. Bass can ignore one colour and gobble up another. Rotated between proven colours and don’t be stubborn to change. Many pros favour a rattle on the jighead. Finding jigs with one can be difficult but a bag of rattles and some heat shrink tubing can convert any jighead quickly. Worrying about the details can be madding but it is usually better to rotate between spots than trying to force feed fall bass. Jerkbait are king of fall! Jerkbaits work exceptionally well when the water cools and the bass are thinking of eating. Largemouth bass love them but smallies get all the glory. Jerkbaits are so versatile that there is almost no wrong method to using them. But, if you’re after superb fall action, the devil is definitely in the details. Several key factors will affect where and how you fish a jerkbait. Consider these factors before you leave home. Suspending jerkbaits with shallow lips have been all the rage for almost two decades. No one makes them better than the Japanese. As the saying goes, “you get what you pay for” and that is very true with jerkbaits. An internal weight system, fantastic action, immaculate finishes and the finest hooks all help put more bass in the boat. These types of baits simply cast further, look better and have better action. Don't forget that many companies such as Jackall, Lucky Craft and Megabass offer deeper diving versions of their shallow baits. They're tailor made for cold, deep water. Water colour and temps will play a huge role in how to fish the bait. Establishing a jerk-pause-jerk caddice is a must to catch the eye of a bass. As the water become chilly the rod tempo must be slowed. A little used technique called strolling becomes stronger as we progress through autumn. Technically, strolling is long line trolling using the wind and trolling motor to propel the boat and bait along deep flats. Gingerly sweep the rod along instead of doing a wild dance is a better match for the conditions. Bait and bass should determine lure size. Smaller sized baits can trigger moody bass, particularly pressured smallmouth. Down sizing tackle and moving to spinning gear is a must if you wish to launch them any distance. Don’t hesitate to buck conventional wisdom. Exchange your favourite jerkbait with a magnum one can be great. Giant bass sometimes only want to eat once. A large bait will surely appeal to them. This is particularly true when fishing around smelt. Smelt are long, nomadic bait and candy to bass. Matching their size, shape and look is a must. Jerkbait fishing is the corner stone to fall bass fishing. Often considered superior in the spring, these baits must be utilized in the fall.